The literary icons from the mind of Dr. Seuss join the world of Funko! Bring your favorite character on all your adventures. 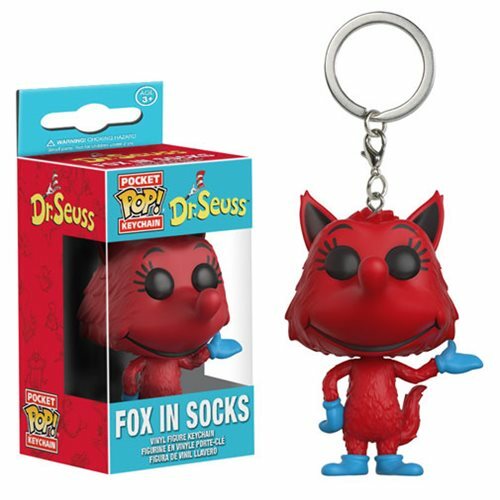 The Dr. Seuss Fox in Socks Pocket Pop! Key Chain measures approximately 1 1/2-inches tall and comes packaged in a window display box. Perfect for your keys or purse! Ages 3 and up.